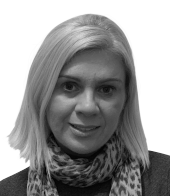 Sonya started with Brite Services in 2013 as an out-based Recruitment Consultant in the Midlands. From the start she has worked closely with our national Utilities client to provide skilled workers on a temporary, permanent and contract basis. Before Brite Services, Sonya’s experience was within business, travel and events – so Sonya is used to a ‘portable’ office and handling often demanding and high volume tasks. Customer Service comes naturally to Sonya and she is an asset to our team, handling a busy area and managing a large number of candidates and vacancies at a time.